Who were the Cathars, and why was the Catholic Church so committed to getting rid of them? 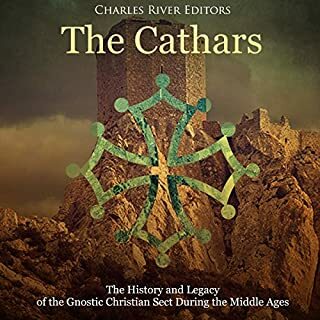 The Cathars: The History and Legacy of the Gnostic Christian Sect During the Middle Ages examines the origins of the cult, their fascinating belief system, their gradual development over the years, and the events that contributed to their epic downfall. Beautiful and easy to understand. The ancient Greeks used a number of forms of divination to determine the future and seek advice from the gods as to which actions they should take in any given situation. The most popular of these ways to consult the Gods was through a visit to an oracle - usually a person - at a fixed shrine. 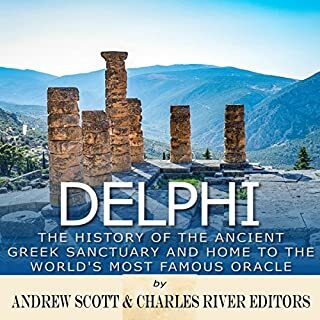 The oldest of these Greek sites was at Dodona in Epirus, and while it continued to be a major oracle for the Greek world through antiquity, it was quickly overtaken by the oracle at Delphi as the most consulted by kings, politicians, and ordinary Greeks alike. Magic - as opposed to religion, personal or otherwise - is a notoriously difficult concept to pin down. In ancient Greece, "magic was not distinct from religion, rather an unwelcome, improper expression of it." 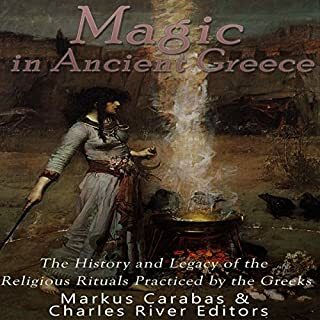 In other words, it's important not to think of it as a different definition of magic but to instead understand how the ancient Greeks believed certain aspects of magic functioned in their world. Africa may have given rise to the first human beings, and Egypt probably gave rise to the first great civilizations, which continue to fascinate modern societies across the globe nearly 5,000 years later. From the Library and Lighthouse of Alexandria to the Great Pyramid at Giza, the Ancient Egyptians produced several wonders of the world, revolutionized architecture and construction, created some of the world’s first systems of mathematics and medicine, and established language and art that spread across the known world. Osiris was one of the most important gods in the Egyptian pantheon, and he could well be the most famous of the Egyptian gods today. Aside from the ubiquity of the sun-god Ra in much of modern popular culture, it is Osiris who captivates the minds of modern readers most. His story is both familiar and strangely alien. He is the god of the dead, but he became so by the very fact of his mortality. All the gods of ancient Egypt were capable of dying, but Osiris was also a symbol of resurrection. During Egypt's Second Intermediate Period, a mysterious foreign group of people, known as the Hyksos, conquered Egypt and established the 15th and 16th Dynasties some time shortly after 1700 BCE. For centuries, the Hyksos rule over Egypt was an enigma shrouded in half-truths and myth. The Tantric text Vijnanabhairava is a true treasure of spiritual literature. It is one of the most interesting practical documents of Tantric instruction that is direct, practical, and sublime. It can help aspirants immensely in studying Tantra, Yoga, Magick, and enlightenment in general. It contains both a large number of practical methods for obtaining enlightened awareness, but also in its brief way contains a philosophical outlook that is refreshing and fascinating. The culture and events of Greece were so influential they have a significant effect on modern-day people all over the world. The ancient Greeks gave birth to democracy, a political system frequently used and considered by some as the best form of government. Great minds from Greece also made incredible and vital discoveries such as the water mill, the basics of geometry and using medicine to cure illness. The ancient Greek philosophers laid the groundwork for a whole new field of thought and study. A nice introduction to Ancient Greek history. Ancient Greece and its mythology has fascinated people for thousands of years, and few elements have intrigued people quite like the Eleusinian Mysteries, which the Greeks believed transformed the initiates and gave them knowledge that eased both the living of life on earth and allayed fears of death, allowing an acceptance of their ultimate fate. The influence of the Eleusinian Mysteries was also far-reaching; for example, the Telesterion is reminiscent of the labyrinthine, symbolic structures that can be found all over pre-historic Europe, ranging from those in Ireland to Malta and Crete to the Shetlands. The larger precinct of Eleusis, combining as it did caves, terraces and buildings carved into the rock again, all echo that ancient past. The external journey of the initiate is mirrored in his internal journey, and what can be seen is that the spiritual torch of classical Greece, as exemplified in these rites, hides the much older worship of deities. It was the spirit of those older gods and goddesses that ultimately pervaded Eleusis. However, it would be unwise to see the Eleusinian Mysteries as something separate from the other aspects of the Greek belief system, or even worse, seeing them as somehow more spiritual than the others. The fact that a considerable element of the Eleusinian Mysteries suggests a tendency towards spiritual monotheism has led to many false conclusions about their nature. They were not a unique phenomenon in Greek religious tradition, and the concepts of secrecy and revelation of mysteries only to initiates had parallels in the cults of Dionysius and Cybele. Similarly, the mystical dimensions of the rites, with their emphasis on a personal encounter with the deity, can be found in other cultic activities. 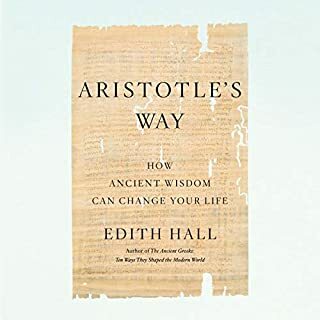 Nonetheless, for the ancient Greeks the vital issue was that only through the Mysteries could they escape the miserable eternal fate ascribed for them if they were not initiated. Sophocles summed it up neatly, declaring, "Oh thrice blessed the mortals who having completed the Mysteries have descended to the underworld for those only will there be a future life of happiness, for the others there will find nothing but suffering." The rites comprising the Eleusinian Mysteries formed a Panhellenic event that attracted visitors from all over the Greek world, including Sicily and Cyrene. 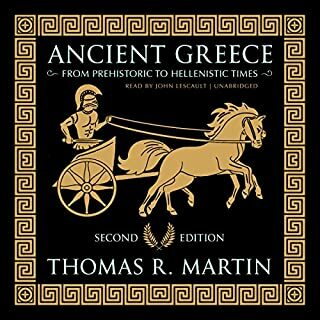 Ultimately, anyone who spoke Greek, male, female, free or slave, could present themselves as a candidate for initiation, provided that they were free of any sacrilege or untainted by a heinous crime such as murder. The Mysteries became the most sacred of the mystical celebrations that took place in Greece, and today the rites and rituals that made up what was a huge event are still the subject of academic controversy and religious debate. 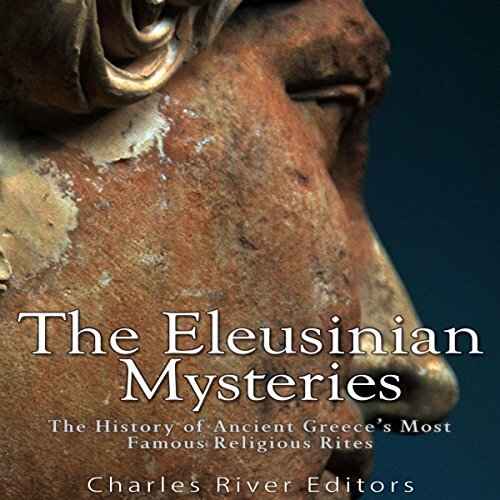 What makes the Eleusinian Mysteries so important for people studying ancient Greece is that they survived for hundreds of years, well into the Christian era. They celebrated Demeter, a hugely important figure in Greece (particularly in both Athenian and Roman worship), and the whole festival was celebrated by the state with pomp. Most of all, however, the aura of mystery that has surrounded the famous rites, and the lack of absolutely incontrovertible information about what exactly went on in some of the most secret parts of the rites, has ensured that they have remained enigmatic and have thus continued to be intriguing throughout history. Great introductory study on the Mysteries. Well researched and non speculative, and at a great price. Having studied Ancient Greek history in depth, the Eleusinian Mysteries are frequently encountered but they are rarely discussed at length. 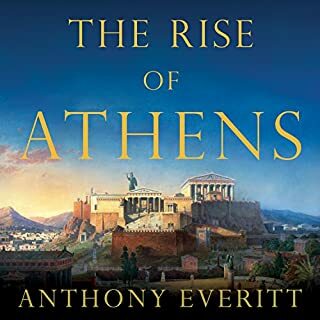 This compact text firmly puts the Mysteries in a socio-religious context, one that had international dimensions and not only outlived the Golden Age of Athens, but survived into the Christian era. Writing this review, some six months after I originally listened to the book, I realise I need to plan a revisit.